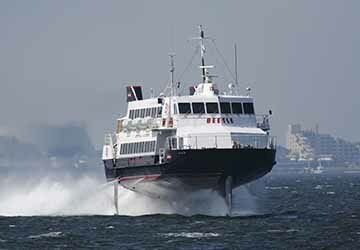 Jr Kyushu’s Jet Ferry operates between Japan and South Korea with the high speed hydrofoil crossing between taking just over three hours. The three times daily high speed crossings between Fukuoka and Busan provide one of the most convenient methods of travelling between the two countries. 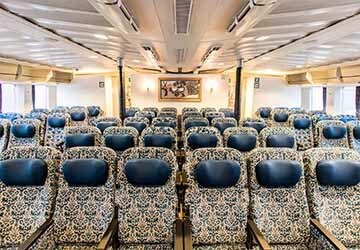 On board you’ll find comfortable seats with ample leg room, toilets, luggage storage space, Wi-Fi connectivity, large windows, as well as a wagon service station where you can purchase variety of items including drinks, snacks, souvenirs and cosmetics.. Whether you are travelling for business, taking a holiday or a short break, JR Beetle ferry is the ideal solution to visit Fukuoka and Busan, anytime. Seats are allocated during the boarding procedure for all passengers aboard the high speed service. 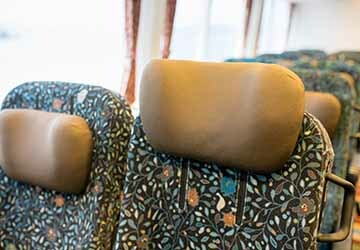 However, the Green Seat upgrade provides you with the ultimate comfort on your three hour crossing. 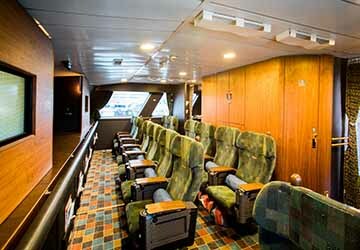 With the upgraded ticket you are treated to benefits including check in at a private reception desk, preferred disembarkation at the destination, exclusive hospitality service from on board staff, your own pillows, slippers, blanket, audio service and USB port, and even a candy service. There’s an extensive menu on board the Beetle with the Green Seat upgrade. A great variety of light snacks and drinks are available to choose from. You can choose from a selection of hot dishes, sandwiches and assortment of sweets and desserts, as well as hot, cold and alcoholic beverages for all to enjoy. 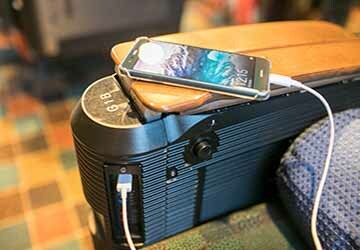 The Beetle ferry offers the chance to indulge in some duty free shopping whilst on your travels. With lower than high street prices it’s the ideal chance to buy souvenirs, presents or maybe even treat yourself to something new. 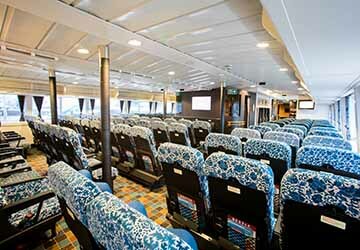 Please Note: Whilst we have taken great care in making our Beetle Jet Ferry guide as accurate as possible, onboard facilities, services and entertainment may vary depending on the date and time of year that you travel, facilities mentioned may change without notification and ferry companies reserve the right to operate vessels other than those mentioned at time of booking without prior notification. Excellent ferry company. The staff was very responsive and helpful whenever we add any question. Trip went exactly as planned. We were asked to arrive 1H early at the ferry terminal and this was correct in terms of border crossing, security and boarding. So glad I chose to travel over by Beetle to Korea. Although quicker to fly to Seoul the journey I had was amazing experience and quite unexpected. Staff were lovely and having hot coffee and a sandwich was an added bonus. Depending on the weather the wifi doesn't always work although I did manage to connect with friends on Facebook while we were travelling. I travelled in November and was not at all seasick. In fact I was astonished at how smooth the sea was. A really great experience that i would advise any visitor to Japan or Korea to embark upon at least once in their lifetime.